MACON, Ga. (AP) -- Once a month, a cardboard box from Colorado appears at the office of a conservative Christian lawmaker in central Georgia, filled with derivatives of marijuana, to be distributed around the state in the shadows of the law. Operating in ways he hopes will avoid felony charges of drug trafficking, state Rep. Allen Peake is taking matters into his own hands. 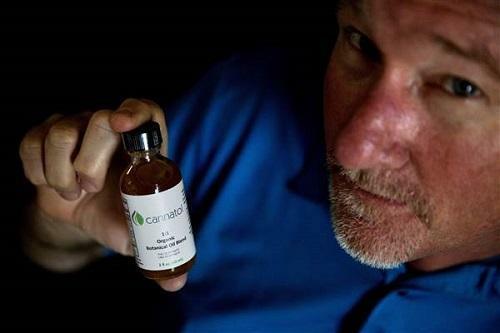 He's shepherding cannabis oil to hundreds of sick people who are now allowed by the state to possess marijuana, but have no legal way of obtaining it. "We're going to do whatever it takes to be able to help get product to these families, these citizens who have debilitating illnesses," Peake said.